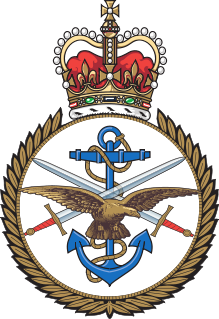 Joint Force Command - Norfolk (JFC-NF) is a combined, joint military command, part of the NATO Military Command Structure. Its headquarters is located in Norfolk, Virginia, in the United States, but it is part of Allied Command Operations at Casteau, Belgium. In late 2017-early 2018, NATO approved two new commands, a rear area transit command which was finally announced as the Joint Support and Enabling Command, to be located at Ulm, Germany, and a new command for the Atlantic. Pentagon spokesman Johnny Michael remarked that "NATO is refocusing on the Atlantic in recognition of the great power competition prompted by a resurgent Russia." In March 2018 Chair of the Military Committee General Petr Pavel announced that the new Atlantic command would become part of the NATO Force Structure at the level of a Joint Force Command, similar to the two that exist at Brunssum and Naples. On 7 June 2018 the Secretary-General said the new JFC would have its headquarters in Norfolk, Virginia, in the United States. The name was confirmed as Joint Force Command Norfolk at the NATO Summit in July. It was to be commanded by the Vice Admiral who leads the U.S. national United States Second Fleet. Joint Force Command Norfolk was established due to the rising Russian threat, making the Atlantic sea routes a critical domain. Its counterpart 2nd Fleet was established because the United States Navy "needed a commander to direct sustained combat operations in the Atlantic". JFCNF will aim to works seamlessly with allies and NATO partners in all domains and to provide awareness and synchronization with allies, while ensuring readiness and contributing to NATO objectives and core tasks. In this role, the command will contribute to enhance NATO’s warfighting capability. The first JFCNF commander is Vice Admiral Andrew L. Lewis, USN who also commands the recently re-established United States Second Fleet also headquartered in Norfolk, Virginia. ^ "NATO Secretary General Annual Report 2018" (PDF). nato.int. NATO. 2019-03-14. Retrieved 2019-03-18. ^ CNN, Ryan Browne,. "US Navy re-establishes Second Fleet amid Russia tensions". CNN. Retrieved 2018-05-04. ^ Babb, Carla (2018-08-06). "US Navy's Top Admiral Cites Increased Threat in Ocean Nearest Washington". voanews.com. Retrieved 2018-08-12. ^ Rear Adm. Doug Perry, director of joint and fleet operations at Fleet Forces Command, quoted in "2nd Fleet Functions, AOR Still to Be Determined". United States Naval Institute. 2018-11-14. ^ "Joint Force Command Norfolk Conducts Trans-Atlantic Security Seminar". Joint Force Command Norfolk Public Affairs. 2019-01-15. ^ LaGrone, Sam (2018-11-29). "U.S. 2nd Fleet Racing Toward a 2019 Operational Capability". USNI News. Retrieved 2018-12-01. ^ "Joint Force Command Norfolk holds seminar". NATO SHAPE. 2018-11-29. Retrieved 2019-03-12. The United States Fleet Forces Command (USFF) is a service component command of the United States Navy that provides naval forces to a wide variety of U.S. forces. The naval resources may be allocated to Combatant Commanders such as United States Northern Command (USNORTHCOM) under the authority of the Secretary of Defense. Originally formed as United States Atlantic Fleet (USLANTFLT) in 1906, it has been an integral part of the defense of the United States of America since the early 20th century. In 2002, the Fleet comprised over 118,000 Navy and Marine Corps personnel serving on 186 ships and in 1,300 aircraft, with an area of responsibility ranging over most of the Atlantic Ocean from the North Pole to the South Pole, the Caribbean Sea, Gulf of Mexico, and the waters of the Pacific Ocean along the coasts of Central and South America. The command is based at Naval Support Activity Hampton Roads in Norfolk, Virginia and is the navy's service component to U.S. Northern Command and is a supporting command under the U.S. Strategic Command. The U.S. Tenth Fleet is a functional formation and a numbered fleet in the United States Navy. It was first created as an anti-submarine warfare coordinating organization during the Battle of the Atlantic in the Second World War. It was reactivated as a force provider for Fleet Cyber Command on January 29, 2010. U.S. Tenth Fleet serves as the numbered fleet for U.S. Fleet Cyber Command and exercises operational control of assigned naval forces to coordinate with other naval, coalition and Joint Task Forces to execute the full spectrum of cyber, electronic warfare, information operations, and signal intelligence capabilities and missions across the cyber, electromagnetic, and space domains. William A. "Andy" Brown was a vice admiral in the United States Navy last serving as the director for logistics, J4 for the Joint Chiefs of Staff. Carol M. Pottenger is a retired United States Navy flag officer. She was among the first women to be assigned to serve at sea in 1978, the first female Admiral to command a major combat organization, Amphibious Force 7th Fleet/Expeditionary Strike Group Seven, encompassing the amphibious forces assigned to the western Pacific; and the first female Admiral to lead a combatant force "type command", Navy Expeditionary Combat Command, charged with the manning, training and equipping of over 40,000 expeditionary sailors in preparation for combat deployments to Iraq and Afghanistan, as well as global security assistance operations. Her final naval post was with NATO as deputy chief of staff for capability and development at Supreme Allied Commander Transformation, Norfolk, Virginia, the first female officer to hold this position. Vice Admiral Joseph Edward Tofalo is a United States Naval officer. Until 3 August 2018, he served as: Commander Submarine Forces; Commander Submarine Force Atlantic; Commander Task Force 144; Commander Task Force 84; Commander Allied Submarine Command. Naval Support Activity Hampton Roads is a United States Navy Echelon 4 regional support commander that is responsible to Navy Region Mid-Atlantic for the operation and maintenance of the installation of the same name that it is headquartered on. Adjacent to, but separate from Naval Station Norfolk, NSA Hampton Roads has the largest concentration of fleet headquarters administrative and communication facilities outside of Washington, D.C., including the headquarters for United States Fleet Forces Command, Naval Reserve Forces Command and United States Marine Corps Forces Command, along with components of the Joint Chiefs of Staff, and the Joint Forces Staff College. NSA Hampton Roads is also home to NATO's Allied Command Transformation. Andrew L. Lewis is a senior officer in the United States Navy and is the current commander of the United States Second Fleet and NATO Joint Force Command for the Atlantic. Lewis previously served as the Deputy Chief of Naval Operations for Operations, Plans and Strategy. He took command of the United States Second Fleet upon its reestablishment on August 24, 2018.